This is one of the things that I’ve been working on lately. 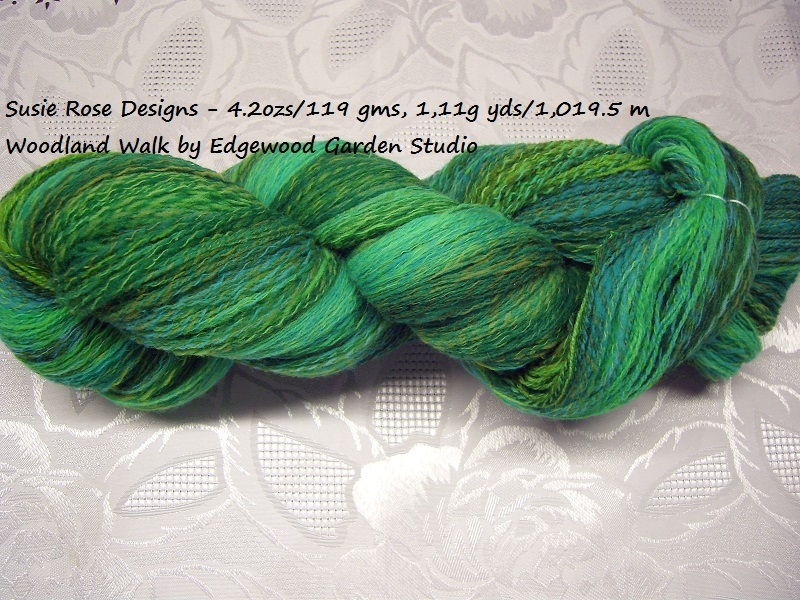 It started out as a roving that I bought from Edgewood Garden Studio on Zibbet. 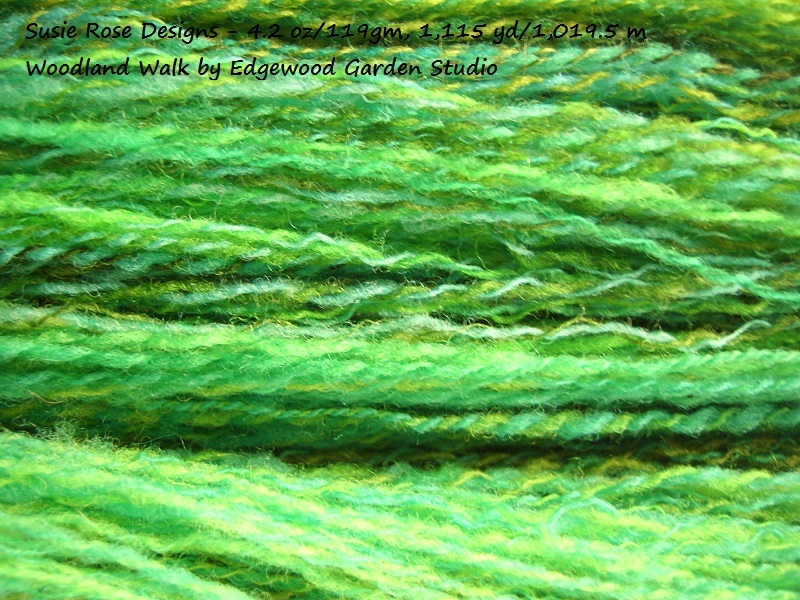 http://www.zibbet.com/EdgewoodGardenStudio I just “happened” to be perusing spinning fiber purveyors on Zibbet. And I came across this roving. After a few days of visiting it, I finally bought the roving on April 3rd. I started spinning it on April 14th and finished on May 12th. Out of 4.2 oz of wonderful fiber, I managed to squeeze out 1,115 yards of a 2 ply lace weight yarn. NOW the big question is…what am I going to do with it? Make a lace shawl? Make a lace dress? 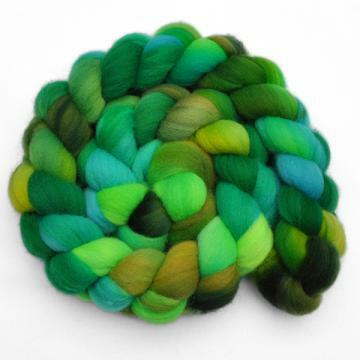 Sell it as a monster skein of yarn? I just don’t know at this time. Time for the close up.